It is now a requirement by law that all non-domestic buildings have a responsible person must carry out and implement a fire management plan. 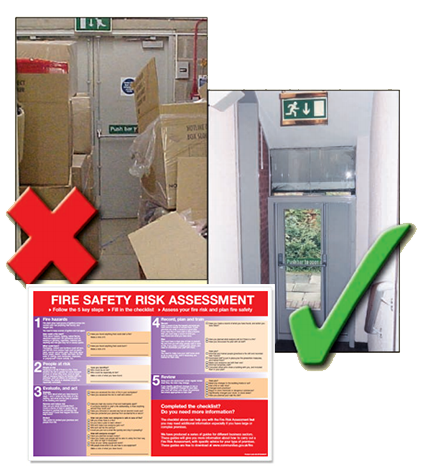 This person in charge of the fire risk assessment plan is normally the owner of the business, once the plan has been drawn up it is important to review and maintain these plans on a regular basis , this is particularly important when you make adjustments to your premises. At BeSure we can help you carry out a fire risk assessment on your business premises. We can survey your property and successfully identify and fire hazards and risks, assess emergency escape routes, current fire detection equipment and make any recommendations to ensure that all fire safety legislations are complied with. Regular, planned maintenance on your fire alarm system is extremely important. At BeSure we can provide a maintenance contract to ensure that you fire alarm system continues to function and comply with insurance policies.